I’ll admit I’m not desperate to see Joe Pasquale, the helium-voiced comic who seems to muck about on TV, enlivening shows such as I’m a Celebrity, Get Me Out of Here. He’s more of a comic condiment that a main course, I think. I prefer more cerebral, surreal comics like Tim Minchin and Stewart Lee; funny folk who usually grace broadsheets rather than tabloids because part of me is a comedy snob. The other part embraces stupid, puntastic rib-ticklers like Tim Vine. But as my wife is a fan of Pasquale, and it gives us an excuse for an evening out in Leeds, I take the plunge – and I’m glad I do. Never having been to City Varieties, the place turns out to be a revelation. In fact it’s one of the most beautiful small theatres I’ve seen anywhere in the world. Regulars are probably used to its lavish interior, beautiful decorations, and excellent lighting. That proscenium arch is perhaps as familiar as the TV in their living room, but for a semi-regular to other theatres, it’s a treat to see somewhere so beautifully kept. It looks more like a labour of love than one of those generic corporate theatres I see movies in. (To see a film here would be a dream). Comedy works best in small theatres, and Joe Pasquale is no exception. There’s no support act. Just him in a lab coat and snazzy suit. He looks like a kids’ party entertainer whose arrived at the wrong place. A few minutes in and he’s already passed the six laughs test that’s usually the benchmark for any comedy movie. The gags come thicker and faster than porridge coated in laughing gas fired from a machine gun. Stupid gags. Risqué gags. Jokes that remind me how long it’s been since I’ve put my laughter muscles to use. And there’s none of that energy loss that befalls some shows. Pasquale burns through material like a clown pilot in an F-14, dropping his payload of hilarious bombs one after another. He promises two hours of gags and we get them, with a much needed 20-minute interval to rest our aching sides. Obviously not all the jokes hit home. I laugh a lot louder than most at some points, and then realise others didn’t get the reference. I feel smug and a bit embarrassed for a nanosecond but who cares? Joe’s like that naughty stand-up who tells dodgy gags but gets away with it. He plays the clown with ease, but I can only imagine the amount of work that went on behind the scenes to make that act work. Whether firing marshmallows into the crowd, milking a magic act involving a needle and balloon or flirting with a beautiful assistant from the audience, he keeps the show ticking over with the skill of an expert. Which he is. There’s a mix of magic tricks, escapology, stupid props and awful anecdotes. A stunt involving a balloon animal has me in hysterics. It’s been a while since I remember what that felt like in a theatre. 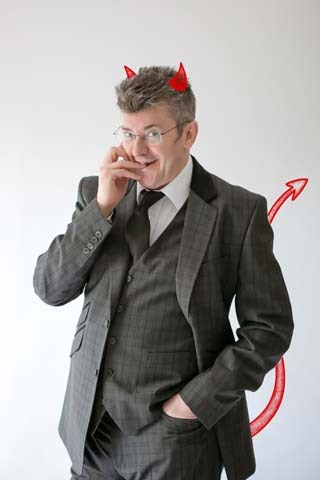 It might not be cool to admit Joe Pasquale is a great night out or a terrific live act, but for someone who spent a couple of hours forgetting his troubles and soaking up the glorious stupidity, I’d recommend him over many highbrow panel game regulars who think they’re too cool for school. Even the warm up and interval music from ELO and The Italian Job is brilliantly chosen. He may know a song that’ll get on your nerves, but this show does anything but. Wrapping things up with a terrific inverted painting, Pasquale takes his leave. He’s an A-list comic who deserves more credit than he gets, and seen in a theatre as stunning as this, I’m glad I made the effort.